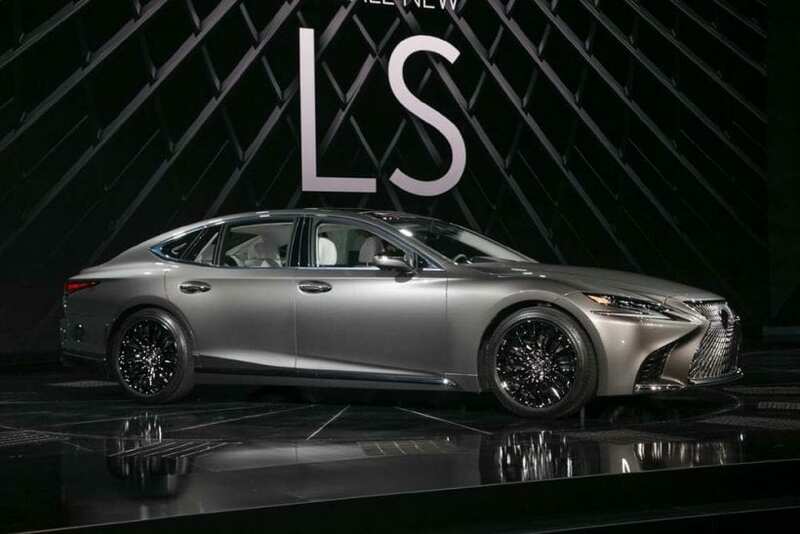 We all saw new Lexus LS at the Detroit Auto Show. I’ll emphasize that “new” part, as revealed fifth generation is nothing like those before it. It is gorgeous, breathtaking, sharp but in a sophisticated manner, with lavish, modern and coated in luxury interior. Nothing is there to resemble old times and happenings under the hood follow that story. New LS was presented during mentioned auto show as LS 500 model which trades older 4.6-liter V8 for new 3.5-liter V6. Naturally aspired V8 was delivering 360 hp and 347 lb-ft of torque, while twin-turbocharged V6 boost much higher 415 hp and 440 lb-ft.
Also, this is the first V6 in LS history, as it stuck with two cylinders more for almost three decades. We have to say that we were confused a bit with Lexus presenting new LS just in petrol powered version at that time, besides majority knew that hybrid has to follow sooner or later, it would be nice if they just mentioned that and dispersed all possible doubts. It seems they did tell us, that hybrid is on the way, you just have to pay closer attention. When Lexus issued a press release for new LS among the pictures was one, showing lower center console and if you look closely, you’ll see silver EV button located just under the touchpad. No petrol powered car has ever featured electric mode of driving, so it must be the interior of the 2018 Lexus LS 500h that was pictured there, what else? This either happened on accident, although hardly, knowing how many many people had to overlook this “mistake” so it’s probably marketing stunt from Japanese PR department. That meant, stop worrying, the hybrid is on the way. That’s a good one. Replaced generation featured 600h model which stood for 5.0-liter petrol V8 engine delivering 400 hp followed by an electric motor for the total power output of 438 hp. 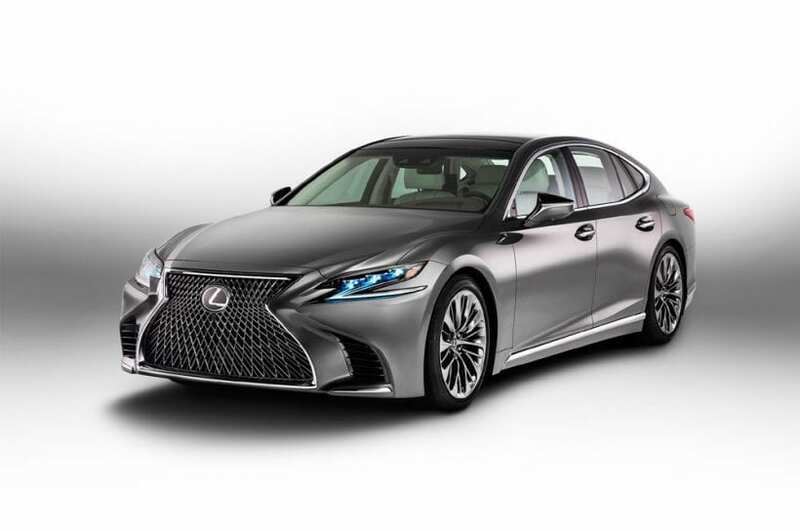 What is more likely is that new hybrid LS is going to use same hybrid powertrain from LC 500h model, since they are sharing same new GA-L platform. LC currently use 3.5-liter V6 delivering 295 hp, joined by an electric motor rated at 59 hp and 1.1 kWh battery. Total power output sent to rear wheels is currently 354 hp for LC, which is far less than the one in previous LS generation, so probably power boost should happen. Anyway, we have to see how the things will eventually come out and we won’t have to wait much as Geneva is around the corner. If new LS hybrid goes for LC bits, and it will, that means we will be getting, as usual, CVT transmission which is on the table like in all Lexus’s hybrids. You see, CVT is not so overwhelmingly popular in the automotive world and Nissan is just stubborn enough to keep using it for all their models. That also means, beautiful and cutting edge 10-speed automatic gearbox from 500 model is out of the question, but Japanese had managed to alleviate the sorrow in this case. You see LC 500h has still CVT, but now also one more gearbox beside it, which will find its place in our model too. That would be four-speed automatic gearbox meddling with CVT output in an effort to erase all its flaws. 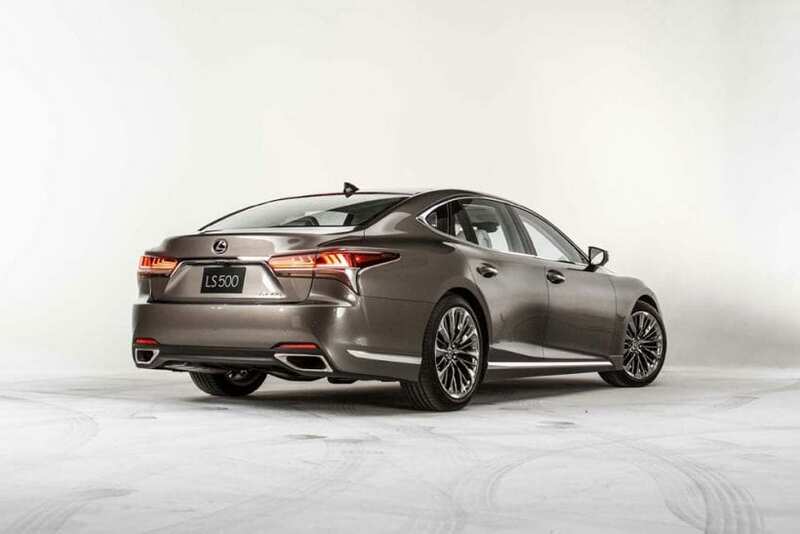 So, future 2018 Lexus LS 500h has seemed to lost any down points and became an even more alluring option, and that would change even if it lacks in power a bit from older days.